We hoped you liked Episode 3 – Subscribe and follow @obussmann) Marcus Treacher (@marcus_treacher) who is the Global Head of Strategic Accounts at @Ripple and we also chat through the news with Oscar Willams Grut (@OscarWGrut) who is the FinTech reporter for Business Insider. 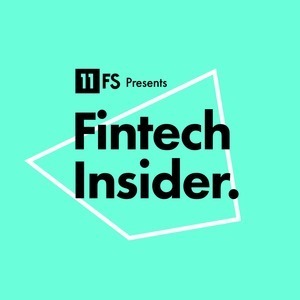 We hoped you like Episode 3 – Follow us and tell us what you think of the show @FinTechInsiders and keep letting us know what you think. The post Ep103 – Blockchain, Blockchain, Blockchain. appeared first on 11FS. The post Ep103 – Blockchain, Blockchain, Blockchain appeared first on 11:FS.